My friend Pip asked me if I would copy one of her favourite handbags as her Christmas present. And with a big buckle that was actually a snap. 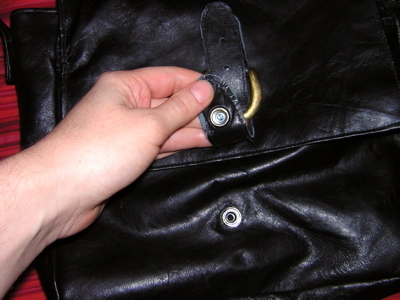 It was slowly getting more complicated, but I obliged, got some specialist leather fittings off eBay, and was amazingly lucky to buy two buttery soft leather skins from a leather jacket shop near my office (an absolute steal at £5 each! One small hole in each meant they couldn’t be used for jackets, but they were perfect for me!). 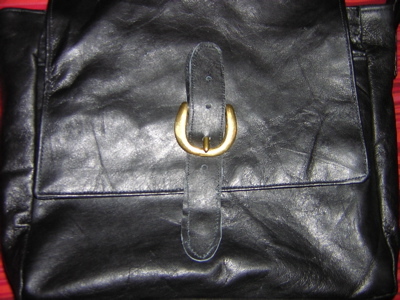 The bag I was copying had a flap where Pip wanted the faux buckle closure, and underneath, a very flat front pocket also in leather. I made the lining from some black gabardine (leftover from the skirt I made for her last birthday, ha ha!) 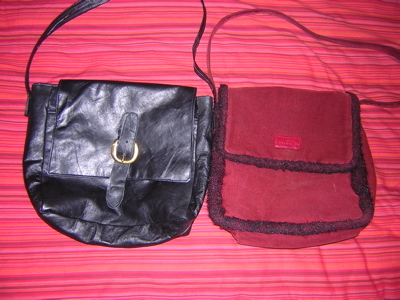 and copied the zippered pocket and also the pleated mobile phone pocket from the original bag. 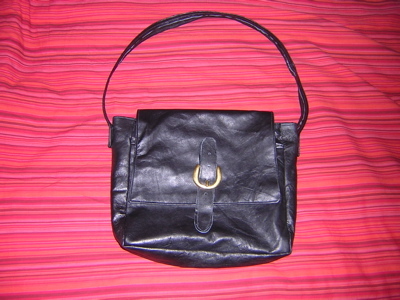 Separator image Posted in Gallery and tagged with bag, leather.